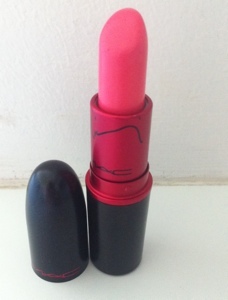 On my lips I have MAC’s Viva Glam Nicki. 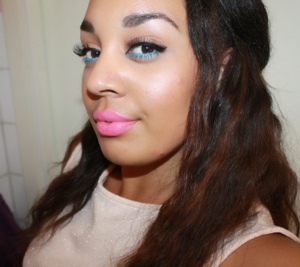 It’s such a fun coral pink colour, I looove this lipstick! Have you tried it? I have it, I love it! It looks great on you! Very pretty colour, looks nice on you. I love that pink!!! It looks like bubblegum. Yes it does! it’s so pretty! OMG, i loooove the color! & it looks great on you (: Just the pink that I want. I think I’m going to buy one then one more for back up. Thank you! 🙂 You should definitely do so, cuz Mac are only selling this lipstick this year I think! So I’ill definetely buy a couple more of this amazing lipstick! I love it sooo much 🙂 Thanks for commenting! Wow stunning, that color is beautiful with your skin tone! Hmmm let me check my make – up bag ~~~> Give me a sec and I will reply back. Love your skin tone! I wish I could wear those colors.